We played Crest Aquafresh Sensodyne Aim Oral-B Colgate at home. 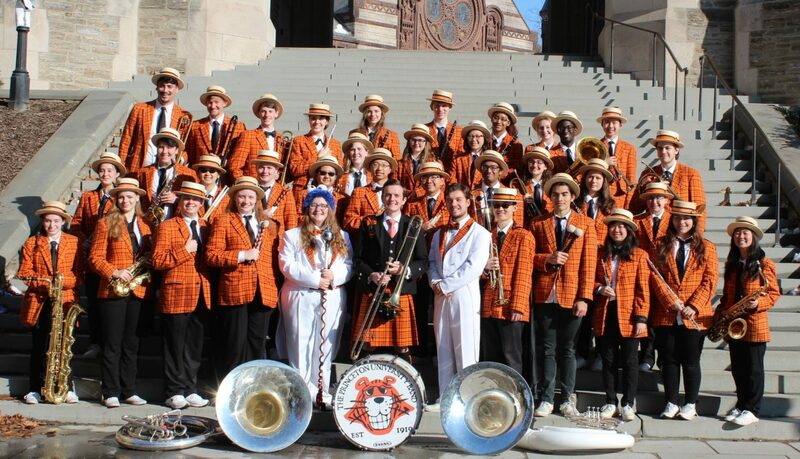 Scrambling onto the field, it's the Princeton University Band! 'Now that WWI is finally over, it's only a matter of time before WWIII is upon us. Fearing the release of 99 Luftballons as prophesied in German pop star Nina's eponymous song, the Band forms a mushroom cloud and plays '99 Luftballoons.'" Our big road trip this season was to Yale. Quite fun. Pictures courtesy of Jacquelyn Nestor ’12. Good morning, Yale. Here we are in the dining hall. More dining hall playing. Window silhouettes: Michael Bishop '13 on the left, Nick Burton '13 on the right. Gabe Eggers '13 catches up on some campus news. And of course we played in the bookstore! Yale bookstore. And the band. And now… basketball and hockey season! We are well underway. Stay tuned! Previous PostPrevious A Month Of Firsts!